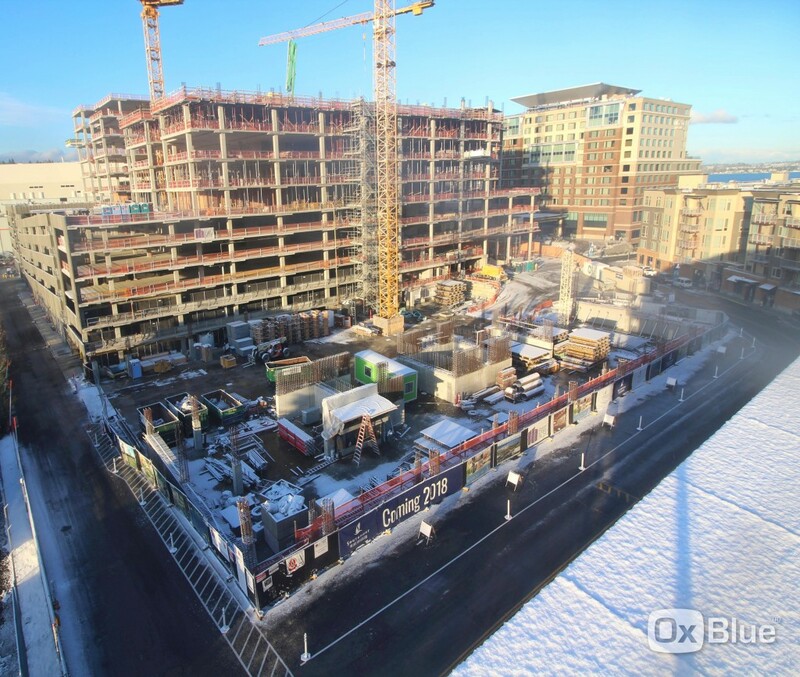 Phase 2 construction is on schedule as Tower 1 has been topped out! 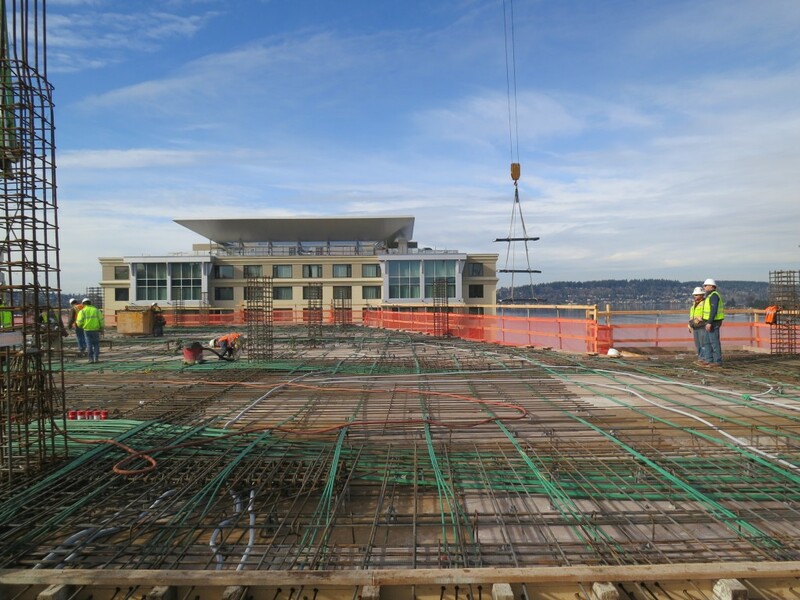 All concrete decks have been poured to the roof as the concrete contractor has jumped back over to Level 7 to continue with the elevated decks for Tower 2. 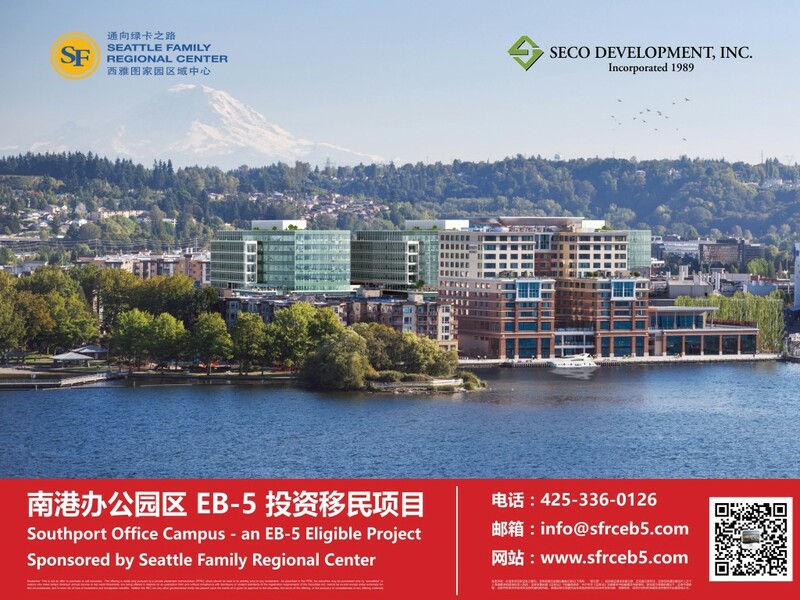 Decks will continue up for Tower 2 with topping out planned for late April. The steel structure for the mechanical screen is being installed at the Tower 1 roof. 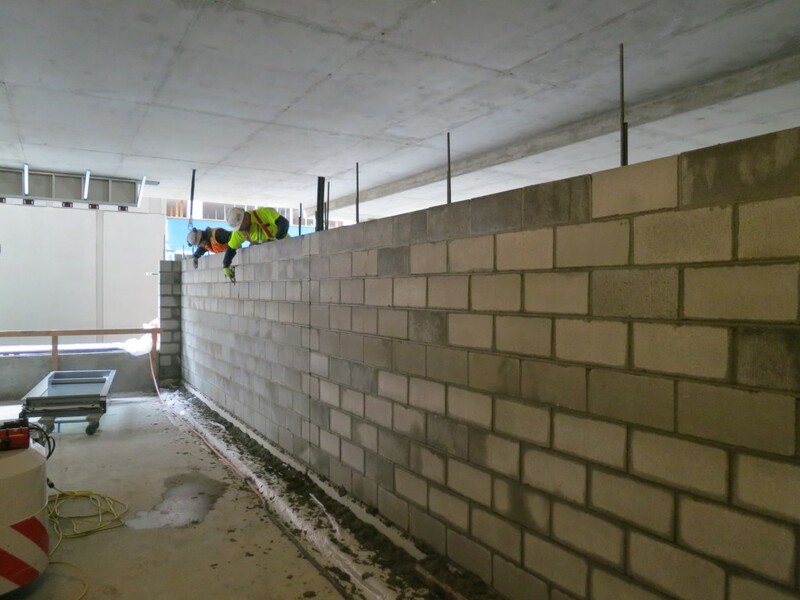 In addition to the elevated decks, CMU concrete walls are being finished at the interface between the parking and occupiable office spaces throughout the garage. The slab for Tower 3 is complete. 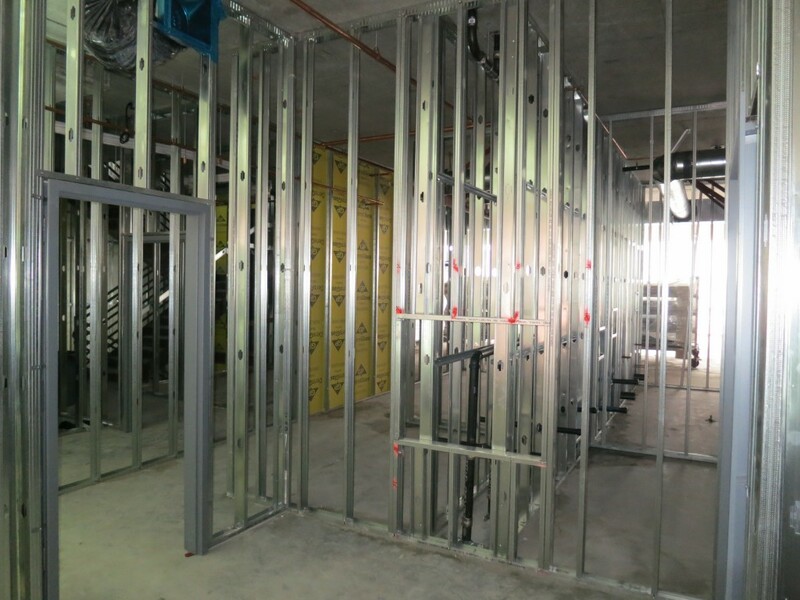 Framing and layout for interior rooms including meeting spaces, offices, and bathrooms is ongoing at the lower levels in both Tower 1 and Tower 2. 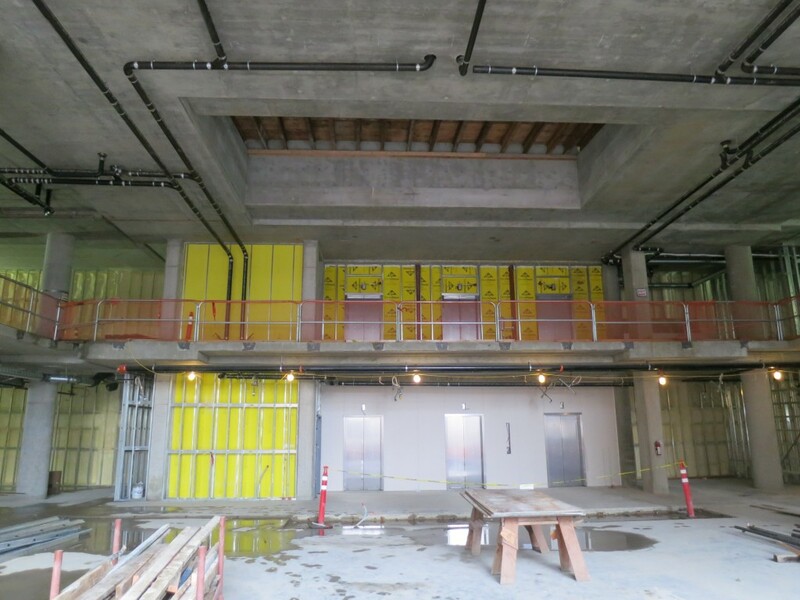 Ceiling framing will continue next to fit out the common spaces with wall board to follow as mechanical systems rough-in, electrical, plumbing, and fire protection is completed for each floor. Elevator install for the parking levels is nearly complete. This includes finishing of the elevator vestibules, cabs, and elevator surrounds with all final finishes and associated equipment including call buttons, lanterns, and intercoms. 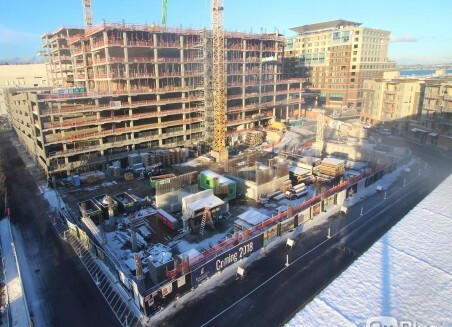 As the garage elevators are completed, the contractor will move over to begin install on the tower elevators as the support steel for the tower elevators is ongoing. The curtain wall glazing at the exterior of Tower 1 has begun! 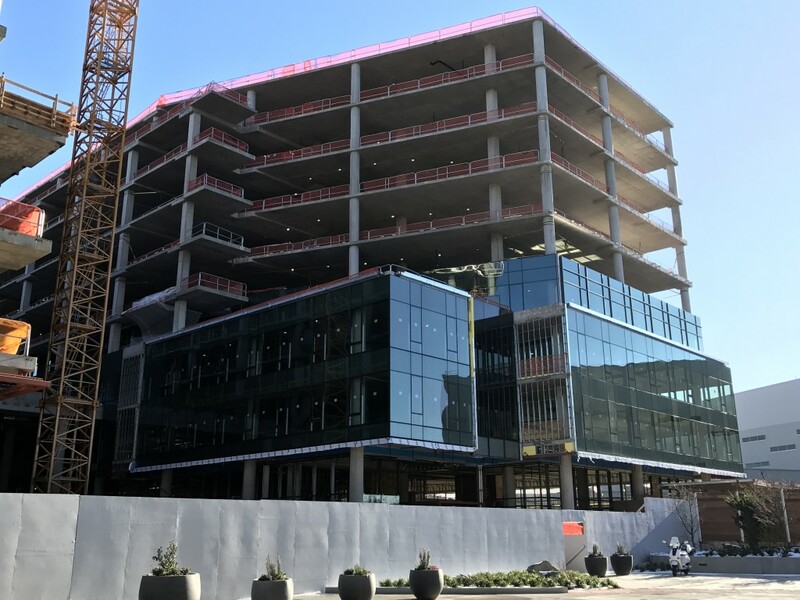 This will continue counter-clockwise around and up the building at Tower 1 with an anticipated completion for the Tower 1 exterior at the end of March. The curtain wall is stocked up to level 8 to facilitate this schedule and will continue to be delivered to the site as the reshores are removed and upper floors are more accessible. 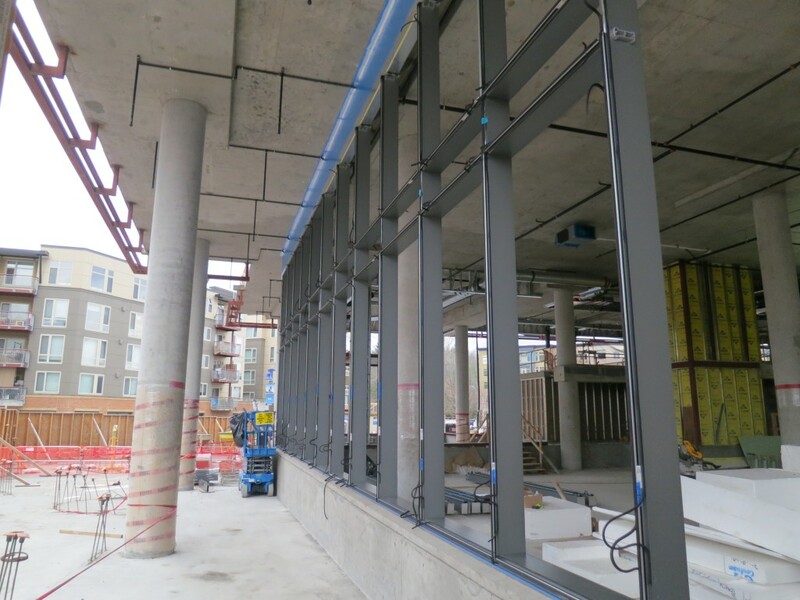 In addition, support steel for the exterior stone and mounting clips for the curtain wall continues to be installed going up Tower 1 to get ahead of the curtain wall. Stone install that frames the lower levels of the curtain wall system will begin in March as well. 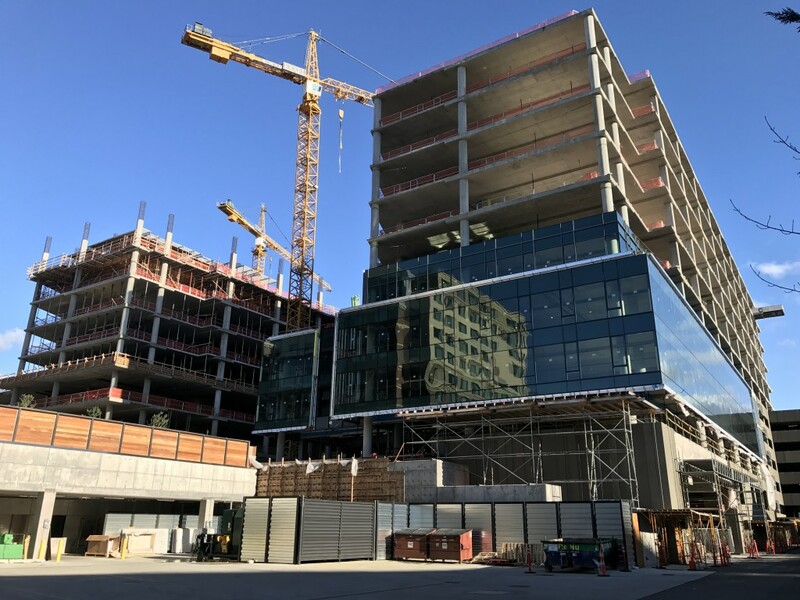 In addition to the curtain wall install, storefront frames, waterproofing, and subsequent glazing has also begun at the ground level retail for both Tower 1 and Tower 2.